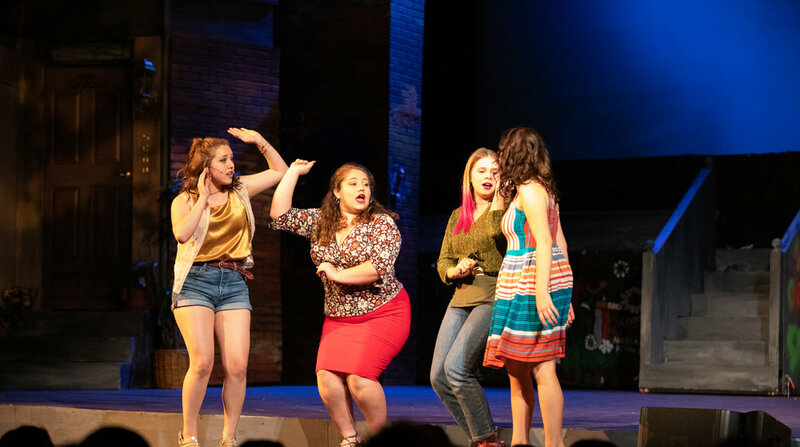 We kicked off the 2018-19 season with the musical that propelled Lin-Manuel Miranda into the spotlight, long before HAMILTON; first conceived when he was a sophomore in college, IN THE HEIGHTS is an explosion of sound and color and emotion, chronicling the joys, sorrows, hardships and triumphs of the Washington Heights neighborhood in New York. 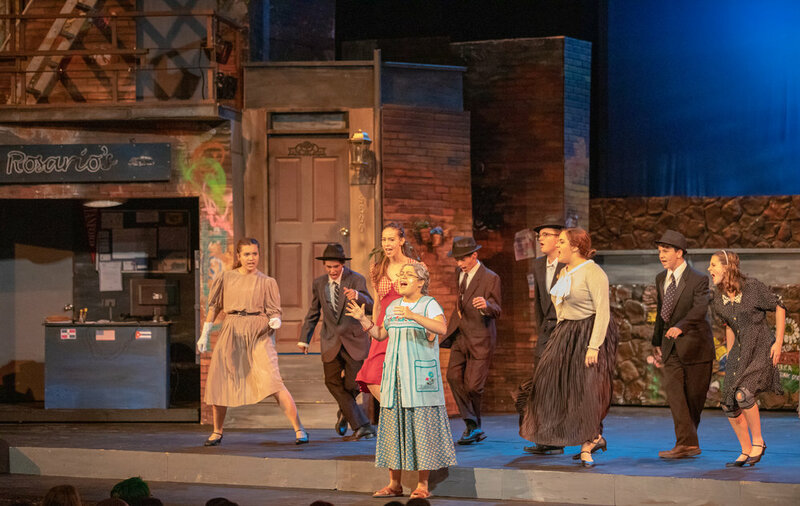 Filled with great characters, sassy, brassy, music and lyrics, IN THE HEIGHTS was the perfect show to begin our season, and remind SB audiences what we are about as performers: bold, emotional, and authentic. IN THE HEIGHTS was designed by Otto Layman and Tech Director extraordinaire Jonathan Mitchell, a collaboration that has created the sets for Urinetown; Crybaby, The Musical; The national high school premiere of Bullets Over Broadway; Young Frankenstein; Hair; and Pippin, while the Lighting Design is once more in the capable hands of Mike Madden. We were once again honored to work with Musical Director Dr. Jon Nathan and the amazing UCSB Jazz Ensemble; with the talent and passion of Vocal Director Sio Tepper, and we were ecstatic to be able to welcome back Choreographer Gianna Burris, who made her debut here with last season’s hit Urinetown, The Musical. 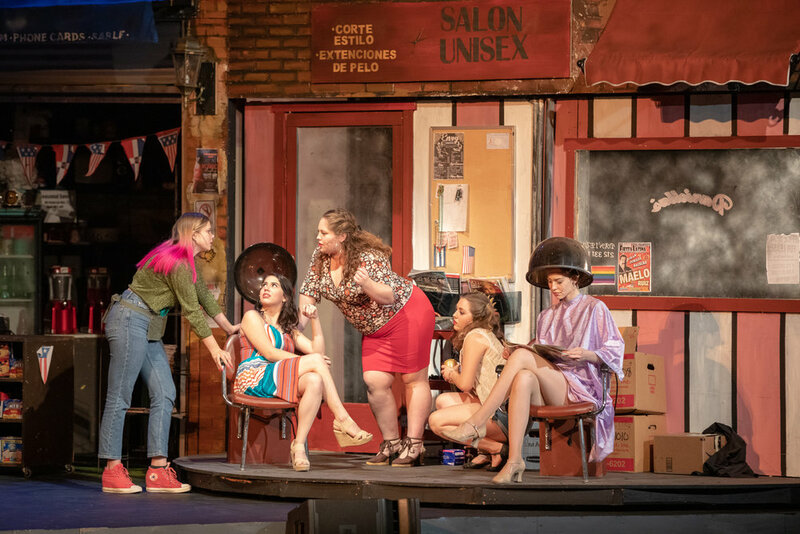 The Costume Designer was Sophia Hurtado, SBHS alum, who has been the assistant designer on a number of shows and made her debut with this production. 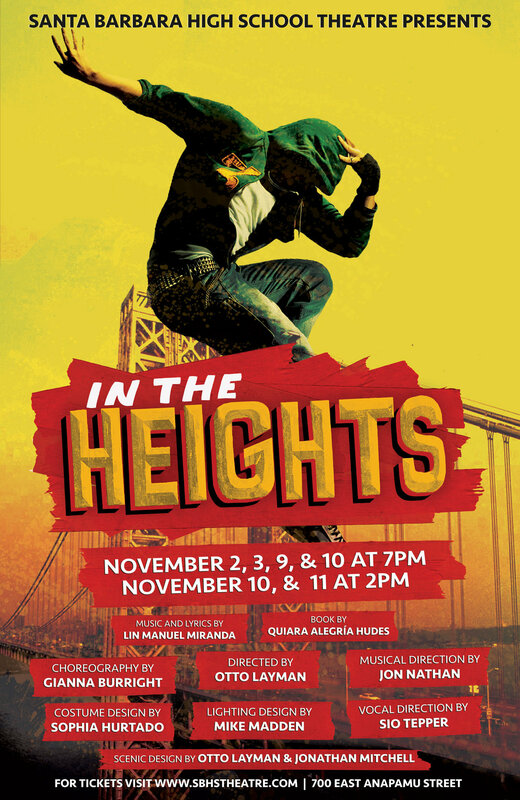 Our production of IN THE HEIGHTS featured Elvis Pagano starring as Usnavi De La Vega, the owner of the De La Vega Bodega in Washington Heights, which he runs with his cousin Sonny (Brandon Holland). Miranda Ortega was Nina Rosario, the ‘good girl’ of Washington Heights who attends Stanford University. 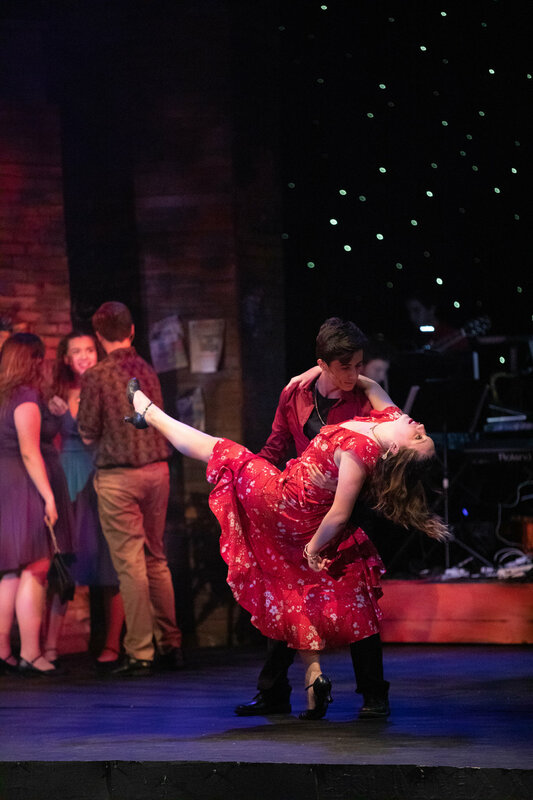 Her parents, Kevin and Camila Rosario (Irving Soto, class of 2016 and Angela Zevallos), run a taxi service called Rosario’s Car Service, and they employ Benny (Daniel Sabraw), a non-Spanish-speaking member of the Barrio. The neighborhood salon is run by Daniela (Bella Holland) and her employees Vanessa (Gianna Gonzalez) and Carla (Logan Fleming). Isa Saldivar portrayed Abuela Claudia, the woman who raised Usnavi, while Graffiti Pete (Drewes McFarling) and the Piragua Guy (Q Le) roam the Barrio. These characters, along with a dynamic ensemble of big voices, drive the world that is IN THE HEIGHTS.